Boiler Repair in Fulham – A&C Heating and Plumbing Ltd.
All people want to protect their property and keep their property values high. This usually means regular upkeep and maintenance of the home or business so that all appliances and fixtures are working properly. In order to keep these items working correctly, and to keep everything modernised and updated, the homeowner needs to make sure all plumbing is up-to-code and working properly at all times. Those living in the Richmond area can call us at any time for both personal and commercial purposes. We provide services to homeowners, renters, landlords and small businesses. Looking for boiler replacement or a new boiler installation Fulham? We’re here to help. We are A&C Heating and Plumbing and we are the leading boiler installer in Fulham. We provide the top quality of workmanship in our industry and we’re very proud of the service that we give to our customers. Our experienced and professional boiler engineers over the years have worked on and repaired most types of domestic boiler from all the major manufacturers, so we challenge you to find a boiler whose are parts still being manufactured that we cannot help with; and if by some small chance we cannot help, we will tell you up front and help you find and alternative solution. We have been installing boilers in Fulham for over 15 years so we know how to give our customers the best possible service. We can without a doubt say that we provide the absolute top quality of workmanship in our industry. No matter what kind of boiler you have, all the work done by Fulham Plumbers comes with a written 12-month guarantee of excellence. That means that once you work with us for the first time, you can be confident that your boiler will operate in optimal condition. Because of our expertise, we can help you with common and uncommon boiler tasks in the Fulham area. Installation, repair, and maintenance are “no sweat” when you call us. We even help with all of the sophisticated boiler maintenance tasks that most companies cannot. Our team carry out repairs quickly to ensure you have hot water and heating when you need it. We provide free, no obligation quotations with expert advice from our experienced heating engineers for every new boiler installation. Sometimes it isn’t possible or cost-effective to repair an old boiler. For example, the model may be so old there are no longer any spares available for it. Emergency Plumbers has access to an immense range of spares for all kinds of makes and models of boiler. However there are isolated cases where spares cannot be purchased or found. In this situation we will be able to provide you with a reasonable quote for boiler installation. Similarly, if your boiler has already been repaired several times and is costing you a significant amount of money to keep it going, you can ask us whether a new installation would prove more cost-effective in the long run. We also provide boiler installation in Fulham, so if you live anywhere in the Hammersmith or Fulham area, just call us on 0800 1777 957 now for more details of our services. Why Do Fulham Residents Call Us? 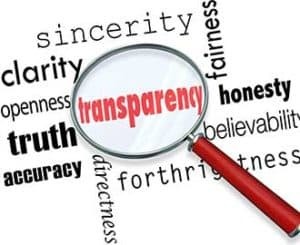 Our service is the most trusted in the area. 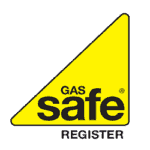 No matter when you call us, you can be sure that a fully prepared and equipped registered “Gas Safe” professional will be on hand shortly. We give you better service than companies many times our size. Anything at all to do with boilers, including but not limited to repair, installation, maintenance, servicing, replacement, emergency resolution, upgrades, power flushing, and the repair or work you need on central heating pumps, on diverter valves, and thermostats. Ask about our power flushing service that can eliminate deposits all throughout your boiler and make it work more inexpensively than ever for the rest of the year. For the low cost of a short visit, you can reap savings in Fulham for twelve months! Call A&C Heating and Plumbing today and see the difference for yourself. If you’ve been let down by plumbers before, call Emergency Plumbers now on 08001777957 today (or tonight!) to get the service you really deserve.